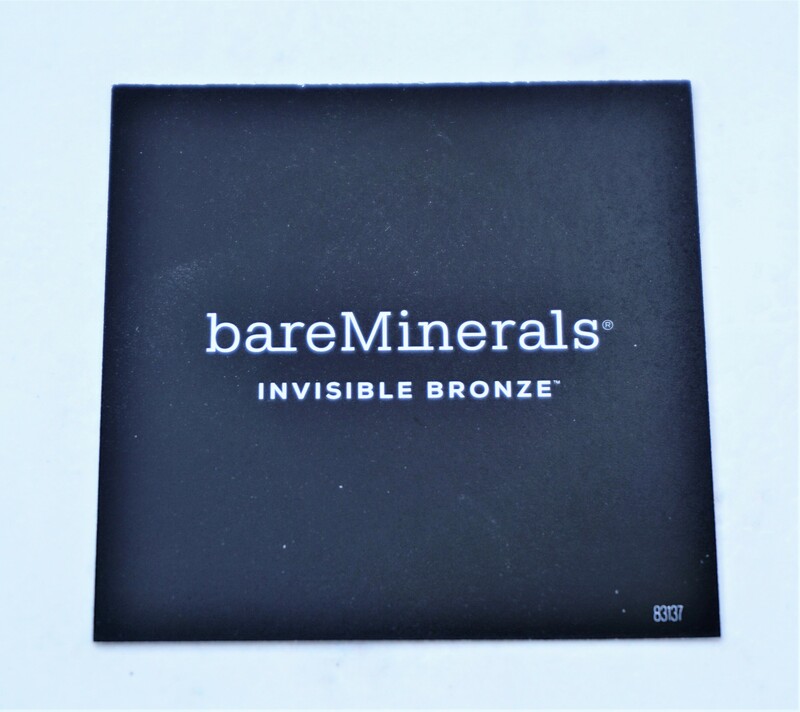 The Bare Minerals Invisible Bronze Powder Bronzer (quite a long name!) comes packaged in a sleek black box with metallic bronze writing. The front of the box provides the product name and the net weight (7g / 0.24oz). The shade is printed on the very top of the box (I have shade Fair-Light). The back of the box provides information on the product inside. The bronzer is touted as being “A silky, ultra-fine baked bronzer that captures the natural warmth of a healthy-looking sun-kissed glow, in the perfect shade for your skin tone”. The ingredients are also listed on the back. 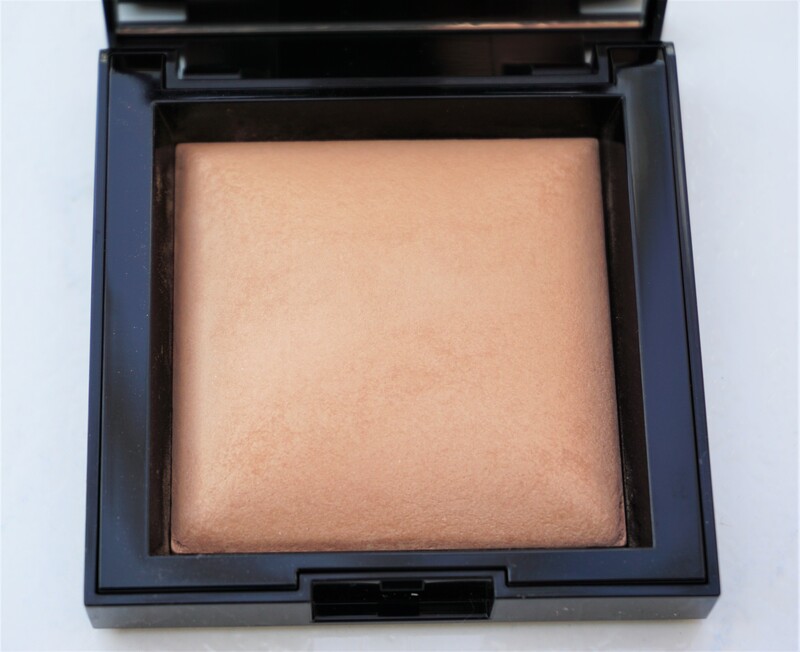 The bronzer comes packaged in a sturdy black plastic square-shaped compact. The design of the compact mimics the outer box, in that the front is black with bronze writing. The back provides the product name, shade name and product net weight. The bronzer compact inside houses the bronzer in the bottom half and a full size mirror on the underside of the lid. The bronzer comes with a little plastic casing on top to protect the powder. I threw the casing away but you could always use it if you want to protect your bronzer when it is in your bag or if you are travelling. The bronzer has a lip style opening, in that you flip the lid up to open and then click it back in place to close it. I like the little ‘click’ the lid makes upon closing, as you know it has closed securely. 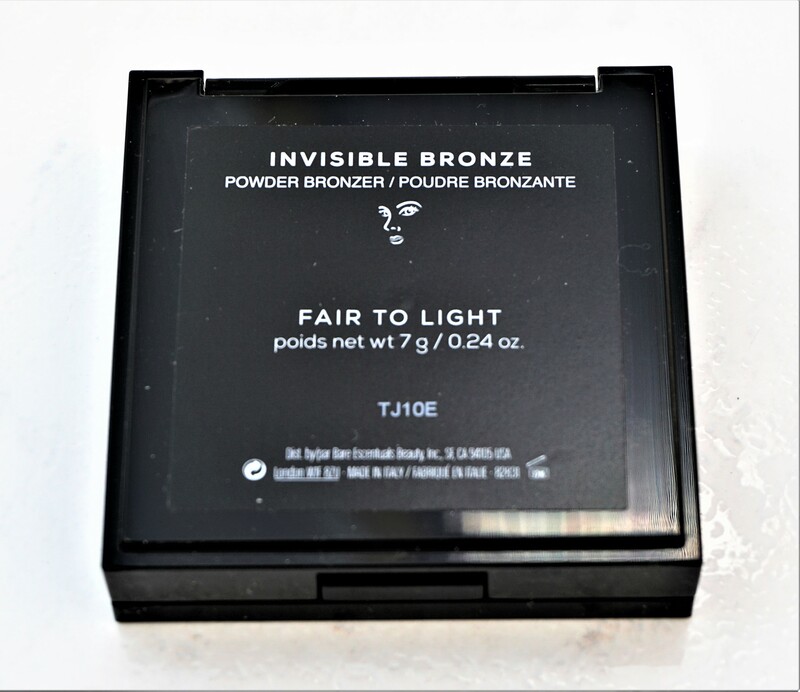 The Invisible Bronze Powder Bronzer comes in four shades: Fair to Light (the one I have), Medium, Tan and Dark to Deep. 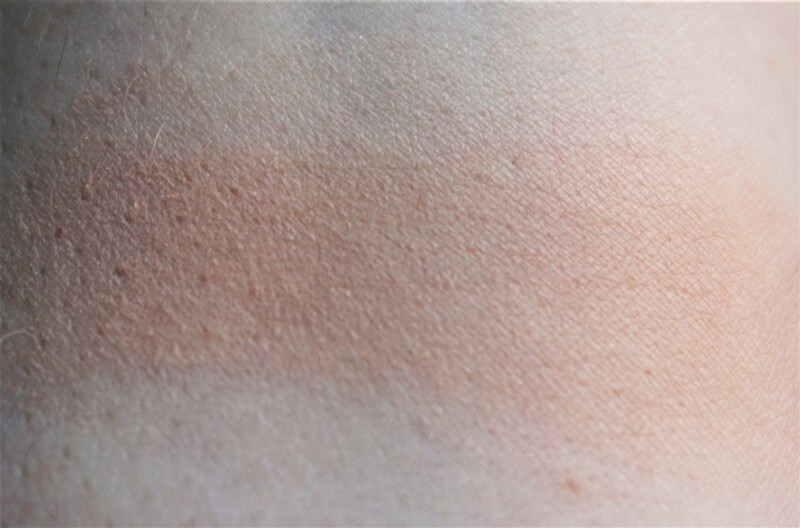 I really like that the bronzer comes in a range of shades to suit different skin tones, as it means you can (hopefully!) find a shade that works – and shows up – on you. 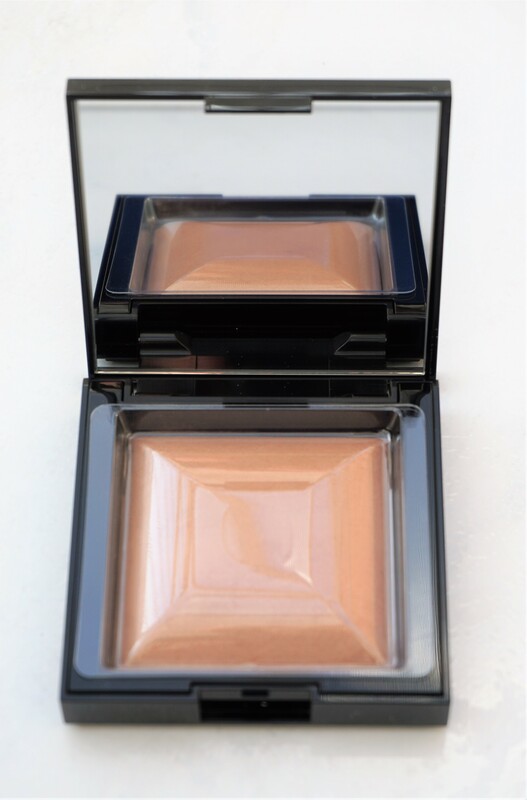 I use shade Fairly Light in Bare Minerals Original Foundation and was matched to the Fair-Light shade in the bronzer. I think this particular shade is an excellent match for me during the Winter/Autumn/Spring months when my skin doesn’t have any colour. I think it might be a little light for me during the Summer months as my skin does tan quite easily (even with sun protection). It will be interesting to see how well it shows up during the summertime. The Bare Minerals website states that the bronzer is ‘A silky, ultra-fine baked bronzer that captures the natural warmth of a healthy-looking sun-kissed glow”. For me, I would say that this summary is an accurate representation of what the actual product is like. The product feels soooo light when you swipe it in the compact and just the same when you put it on your face. It really does feel ultra-fine, as well as incredibly silky and weightless on your face. The texture makes it incredibly easy to blend and prevent harsh edges showing on the face. The bronzer is really easy to build up as well and it feels like it would be difficult to over-apply it. 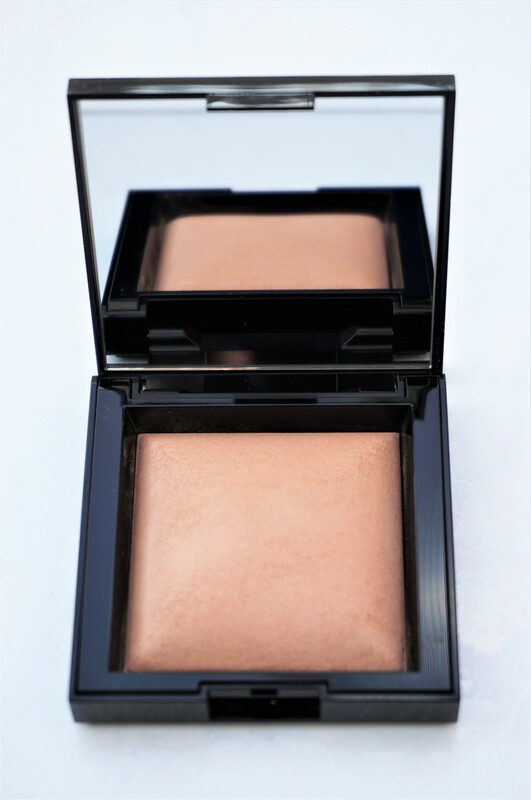 I have used this bronzer mainly as a natural contour for under my cheekbones to add some definition and subtle warmth. It is also really beautiful for bronzing and adding a natural, sun-kissed glow to the face. 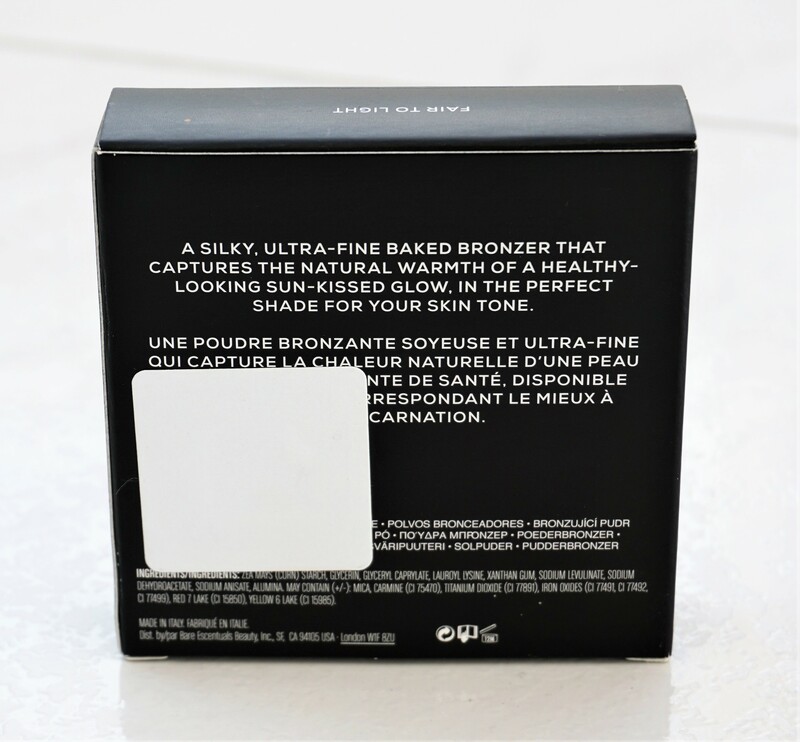 The bronzer comes with a mini card showing you how to use the product. 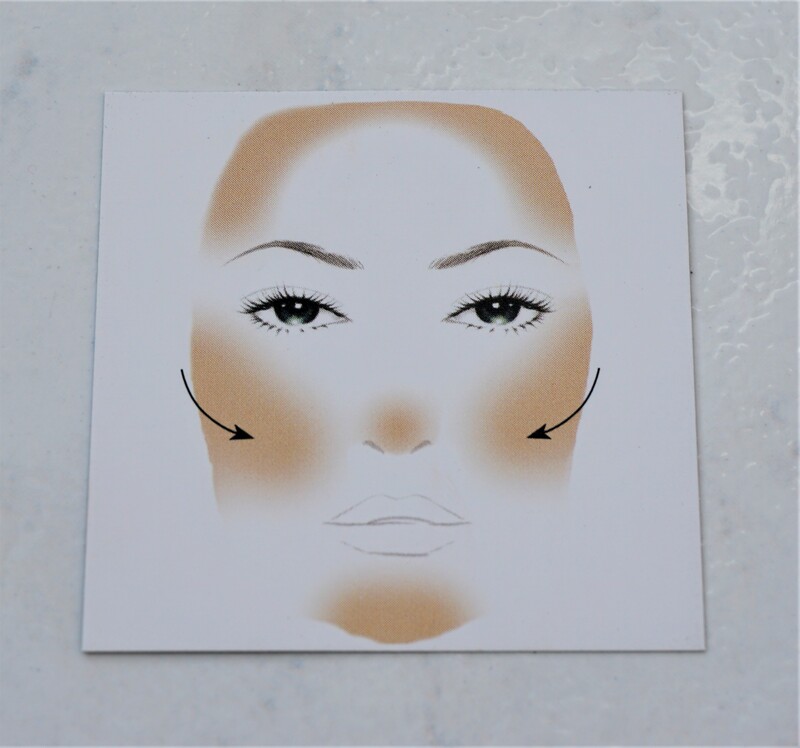 The card shows you that you can apply the bronzer around the hairline, across/under the cheekbones, on the nose and at the base of the chin. Whilst there are guidelines on where to apply bronzer, I think where you apply it may also depend on personal preference and your own make-up style. I like applying bronzer on my cheekbones and sometimes a little around my hairline. I don’t really apply it on my chin but that is just my own preference. I like to use a smaller brush (I use the MAC 109 Contour Brush) to apply the bronzer, whether I am using it as a bronzer or to contour my cheeks. I find that a smaller brush gives me more control and makes it easier for me to apply the product more easily. You can also use a larger brush to apply your bronzer or contour product; it really just depends on what works for you. 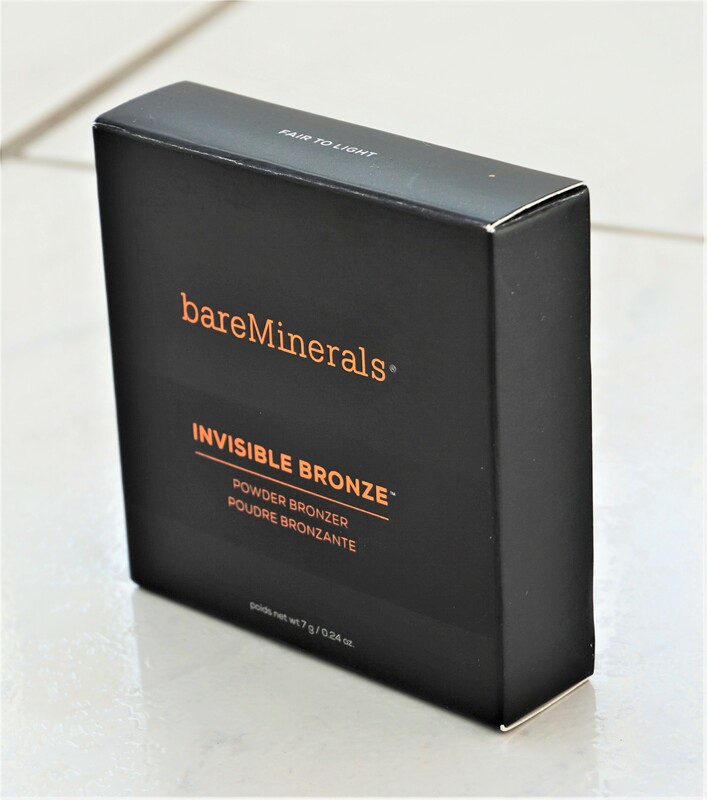 Bare Minerals Bronze Invisible Bronze Powder is available in the UK from several retailers, including Boots, Debenhams, House of Frasers and Harvey Nichols. The bronzer costs £25, so it is fairly expensive, but I feel it was worth it for me as the product is so natural and easy to use. Debenhams and House of Frasers often have 10%/15% off deals throughout the year so you might be able to get it a bit cheaper if you wait for an offer. 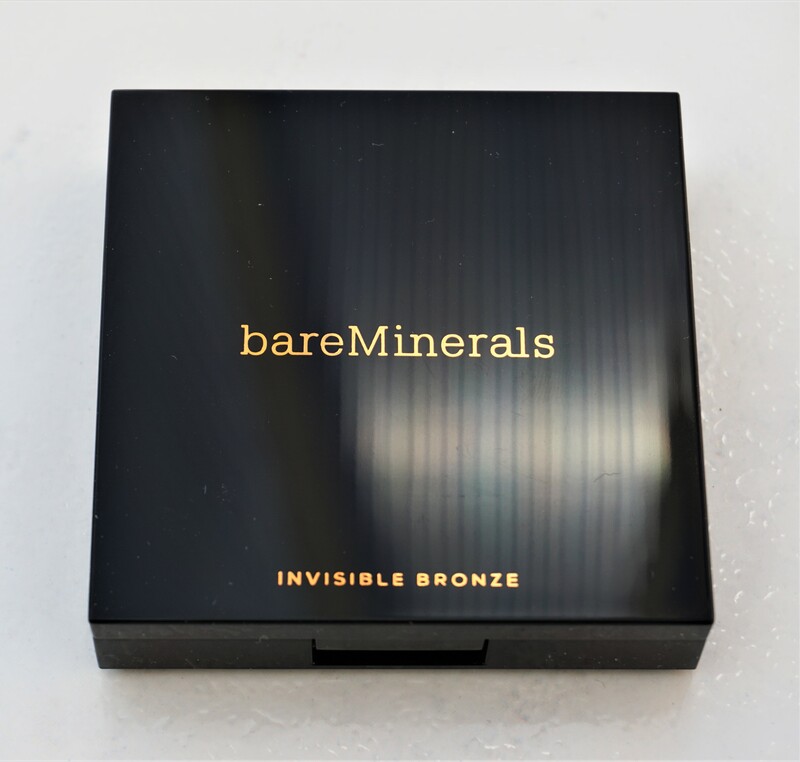 Have you tried the Bare Minerals Invisible Bronze Powder Bronzer or any of the other products in the Invisible range? What are your thoughts? Let me know your thoughts in the comments section below.